Paris: Paris Saint-Germain star Neymar suffered a sprained ankle and a fractured metatarsal when he was stretchered off in Sunday's win over Marseille, the Ligue 1 leaders announced on Monday. 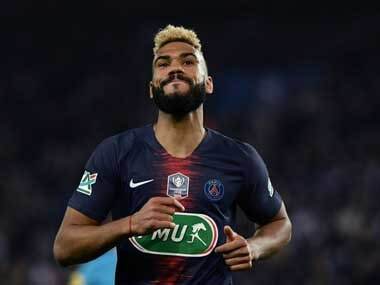 The Brazilian, who signed for PSG in a world-record move from Barcelona last year, is now a serious injury doubt for the Champions League last-16 second leg against Real Madrid at the Parc des Princes on 6 March. PSG trail in the tie after a 3-1 first-leg defeat in Spain, with their hopes of a maiden Champions League title taking a further body blow with the confirmation of Neymar's injury, although they didn't specify how long the 26-year-old would be out of action. "Additional examinations performed today (ultrasound and CT) confirmed an external sprain of the right ankle, but also an associated fissure of the fifth metatarsal," PSG said in a short statement. The chances of Neymar returning to fitness in time to face the reigning European champions now appear extremely slim. He is all but certain to miss Wednesday's French Cup quarter-final against Marseille and the weekend's Ligue 1 visit to Troyes, with the Real clash just three days later. Metatarsal injuries usually take weeks, if not months to recover from. Just last year, Neymar's international team-mate Gabriel Jesus was out of action for two months after breaking a metatarsal with Manchester City, and has struggled with further injuries since. Former England stars David Beckham and Wayne Rooney spent six weeks on the sidelines with metatarsal injuries in the past, with both still arguably being rushed back too soon for the 2002 and 2006 World Cups respectively. Brazil fans will also be keeping a close eye on Neymar's fitness, especially after he missed their 2014 World Cup thrashing by Germany with injury. PSG, who lead the French top flight by a massive 14 points, also said that Brazilian centre-back Marquinhos had picked up a leg muscle problem. 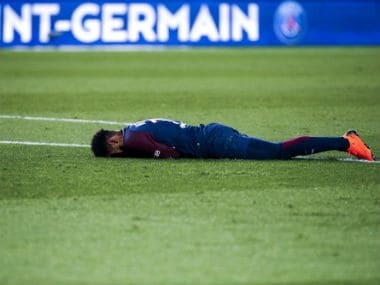 Neymar was stretchered off in anguish towards the end of PSG's 3-0 victory over their great rivals in the capital, having innocuously rolled his right ankle and flopped to the ground in pain. 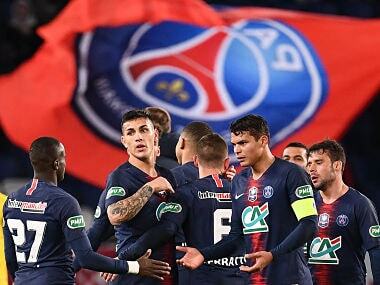 With the game already as good as over, the stadium held its breath as he was treated and then carried away, with PSG forced to finish the match with 10 men having made all of their substitutions. Neymar himself posted a picture on Instagram of his right leg with the ankle and foot heavily bandaged, before later appearing to delete the post. "08:10. Finished for today," said the caption. French newspaper Le Parisien had earlier reported that tests on Monday morning had ruled out a "fracture of a serious sprain". But the club later confirmed their fans' worst fears, with the return game against Real just eight days away. Despite the injury potentially benefiting Madrid, the Spanish side's coach Zinedine Zidane claimed he hoped Neymar would recover in time to play. "I'm not happy with the Neymar injury and I hope he can be back for the game. I will never want a rival player to be out injured," Zidane said at a press conference in the Spanish capital earlier on Monday. While Neymar was leaving the Parc des Princes on crutches on Sunday, PSG coach Unai Emery insisted he was "optimistic". "We will be optimistic. If I had to say today (whether or not he will face Real) I would rather say yes," said the Spaniard. But now his team's hopes of keeping their European dream alive are hanging by a thread, despite the continued presence up front of Edinson Cavani and Kylian Mbappe. PSG have never reached the Champions League final, and lost at the last-16 stage last season after a humiliating 6-1 second-leg thrashing by a Neymar-inspired Barcelona, having won the first game 4-0.